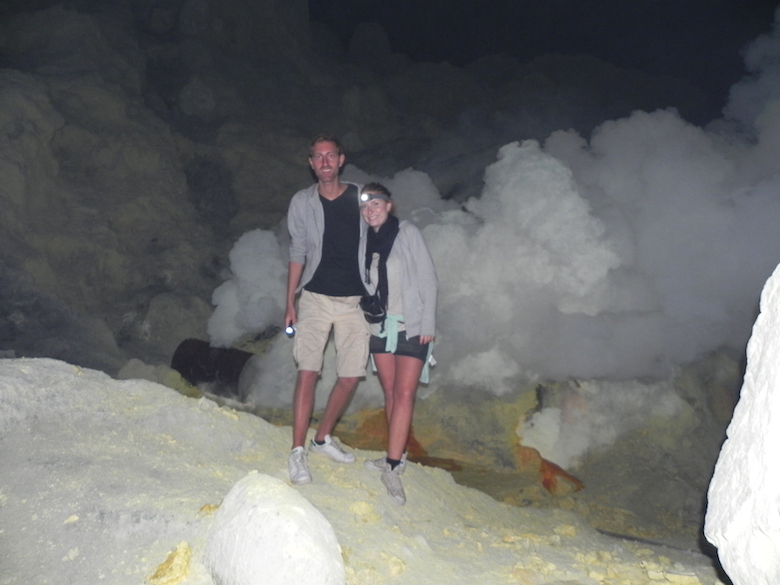 During our three weeks trip to Indonesia, we spent most time on Bali and Lombok, but we also went for a couple of days to the island of Java to see the Khawa Ijen volcano. 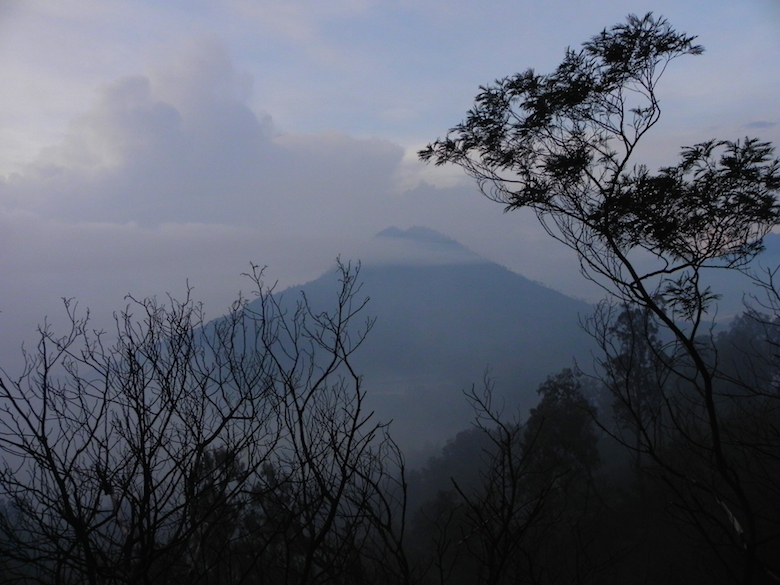 The Khawa Ijen volcano is famous for its sulfur-belching volcanic crater, which is the main source of income for numerous people in the area. The good thing is that you don’t really need a guide to go on the volcano and it’s even more exciting to do it on your own. To get to the volcano, we first stayed in the village Pos Paltuding, where we got a really basic accommodation at the park administration’s office. The room was awful and there was no real bathroom, but for one night that was still acceptable. There wasn’t even a restaurant in the village, so we had no choice but to buy some instant noodles at a tiny shop that belonged to a local family. We were invited to visit the family’s house where we got hot water for the noodles. We went to bed early at 8pm to be ready for the climb at 2am. Waking up wasn’t easy, but as soon we were outside in complete darkness, the adventure began. 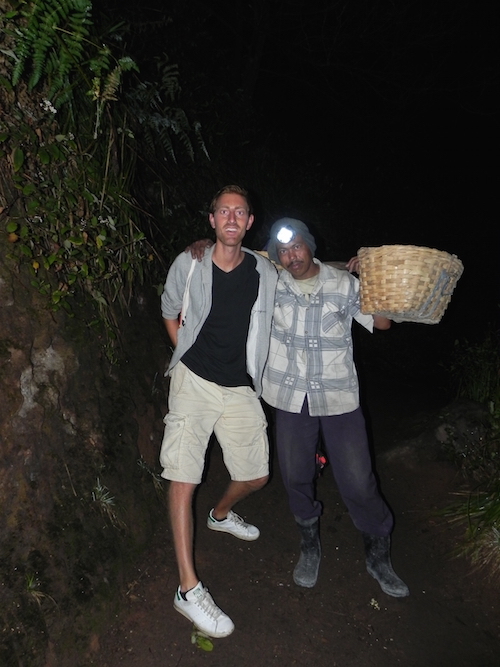 We started walking up a path and just thanks to our headlamp, we were able to see anything. The climb led through a forest, was steep and took us around one and a half hours. 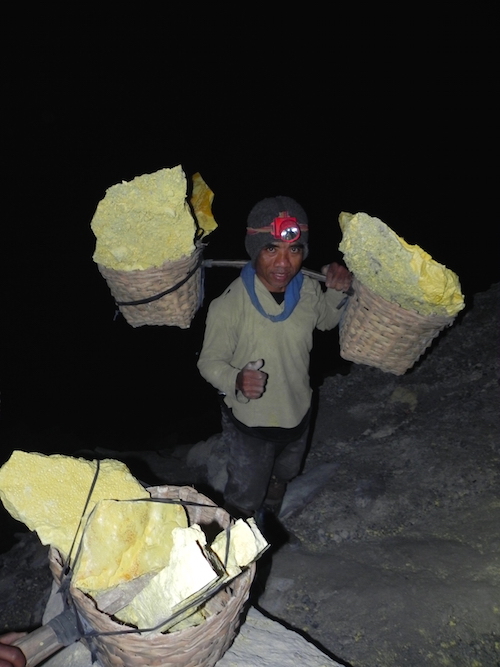 On our way there, we met several miners that were going up with their baskets to retrieve the sulfur pieces. When we got to the top, still in complete darkness, we were a bit lost since there was no real path anymore. 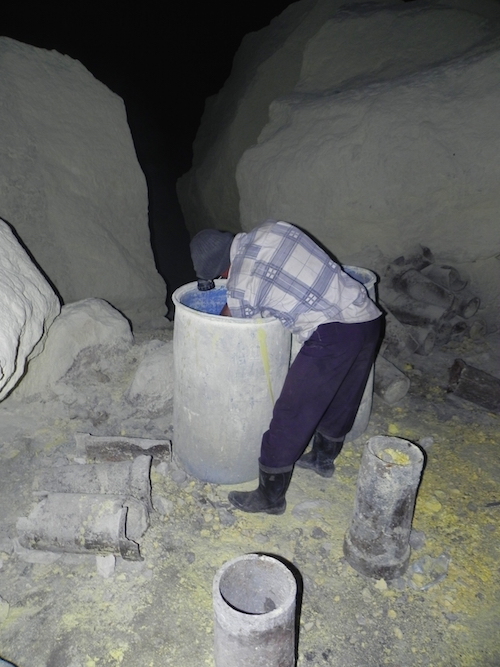 Fortunately, we met a worker who told us he would bring us down the crater, so we could see how he works. We followed him all the way down. We had to walk over rocks and rubble before we got there 30 minutes later. We saw a lot of smoke coming out of the stones; the air got quite bad and breathing got harder so we had to wear masks. Dirty and a bit tired, we went down to get back to the village. 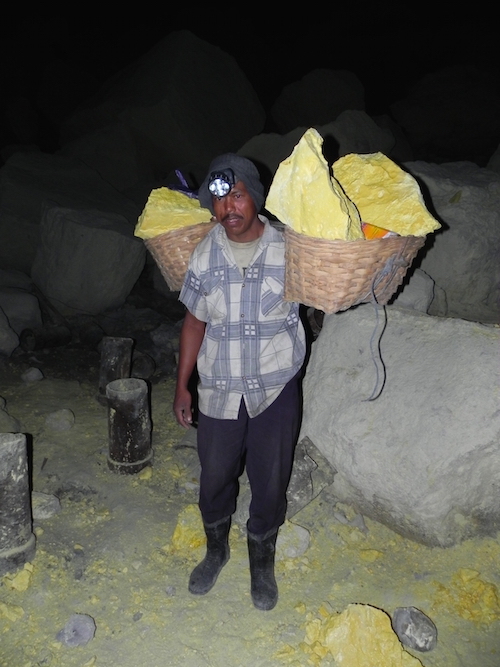 On our way, we met a few workers that were carrying around 60 kilos on their shoulder. It was hard to see them like that, knowing they would do it several times a day. It must have been exhausting. Early in the morning we came back to the village, packed our stuff to take the bus back to Bali. Intense and raw as it was, it was an incredible adventure.